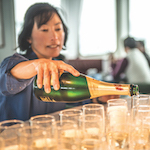 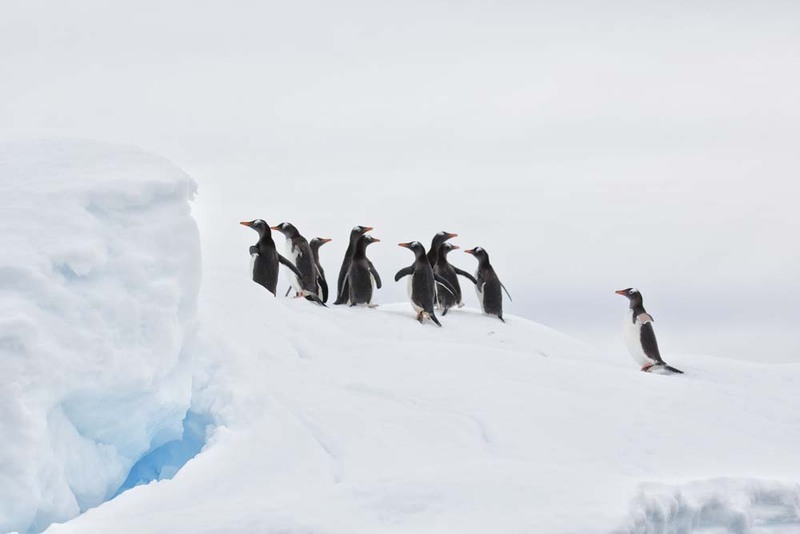 Towering glaciers, snow-covered landscapes, massive icebergs, amazing wildlife encounters with penguins, whales and seals, and the option to choose your favourite activities every day, customize your expedition cruise to Antarctica with One Ocean Expeditions. 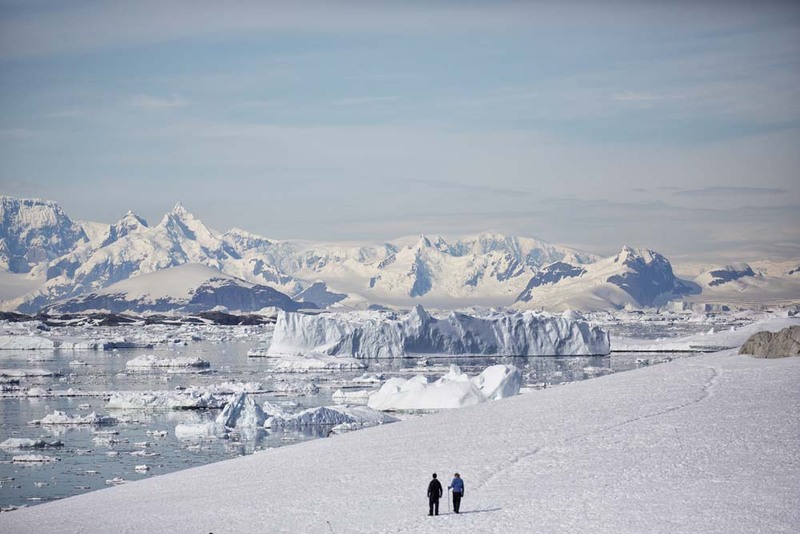 Antarctic expedition cruise options include voyages to the South Shetland Islands, the western and northern sections of the Antarctic Peninsula, the stunning and wild Weddell Sea region located on the eastern side of the Antarctic Peninsula, crossing the Antarctic Circle, sailings to South Georgia and exploration of spectacular Chilean Fjords. 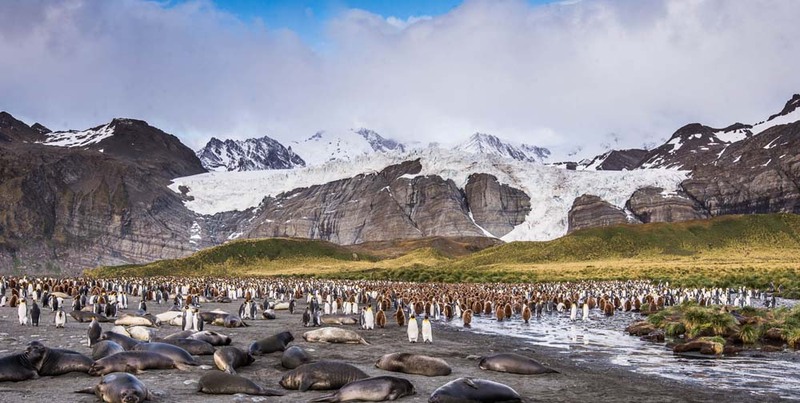 Let South Georgia impress you with its high wildlife populations and polar history sites, following in the footsteps of Sir Ernest Shackleton’s expedition. 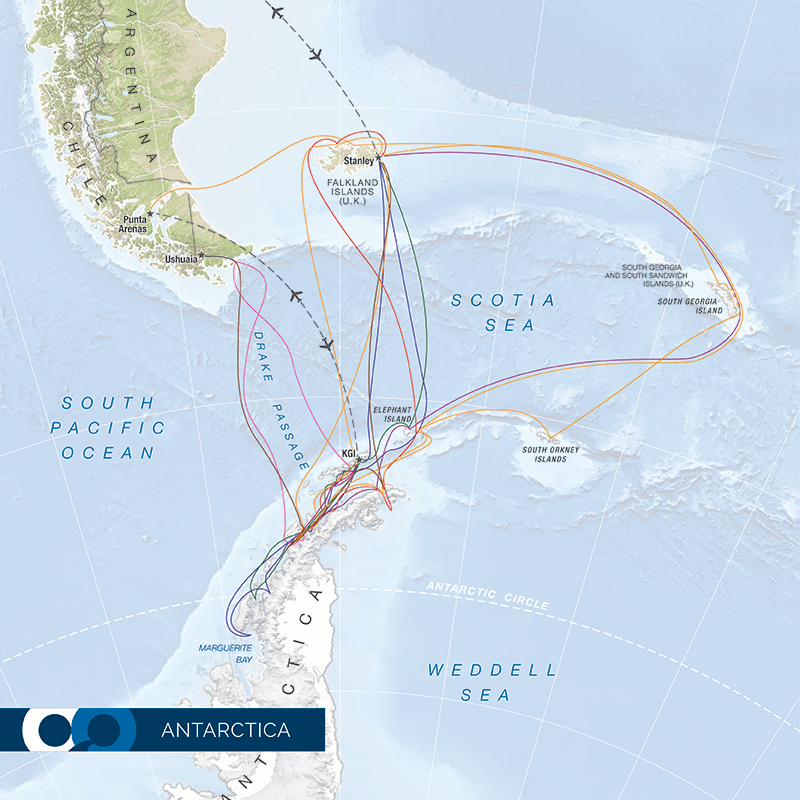 Add to the experience with visits to several locations in the Falkland Island archipelago - home to nesting Albatross and the colorful King penguin. 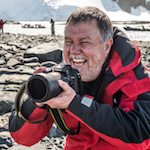 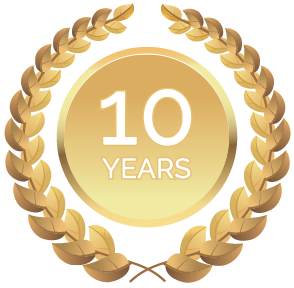 Break into small special interest groups, to discover Antarctica and South Georgia and its remarkable wildlife through hiking tours onshore, zodiac cruising, whale watching tours and photography. 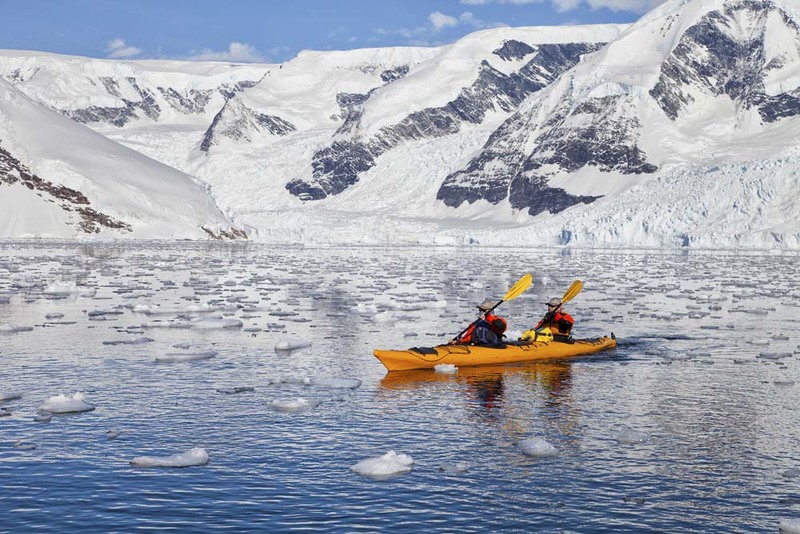 For the more adventurous, overnight camping and sea kayaking options are available. 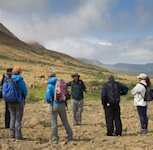 Expert guides lead visits to historic huts and working research stations. 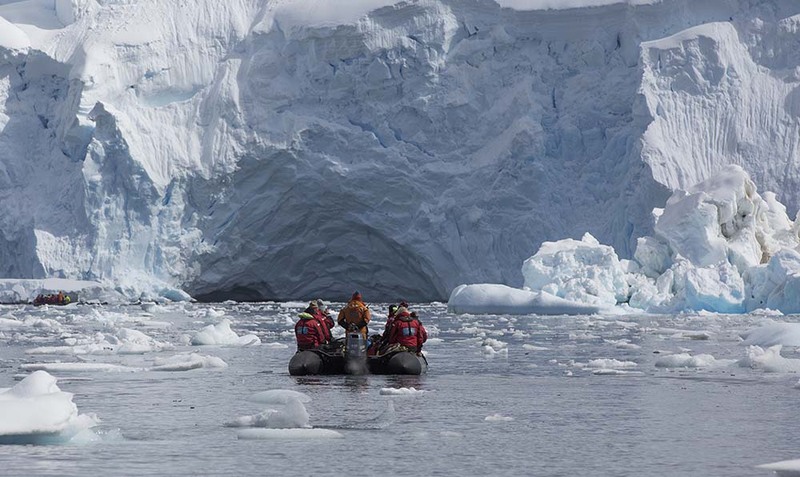 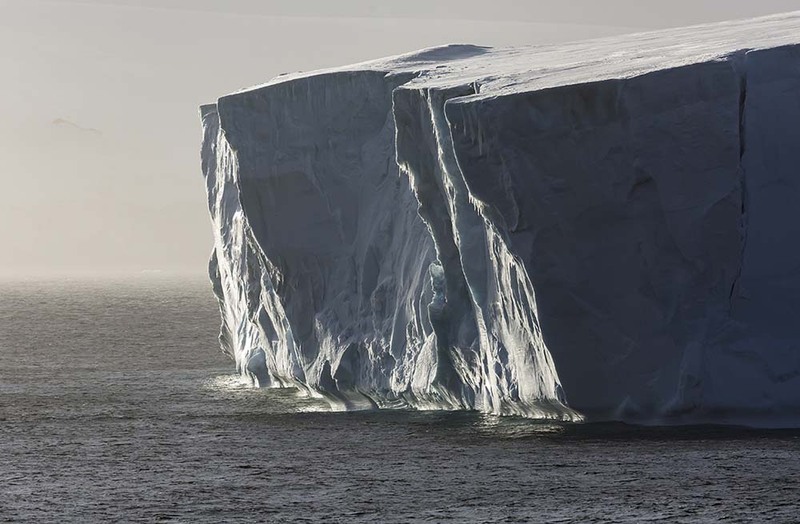 Adventure travel along the Antarctic peninsula onboard an expedition cruise. 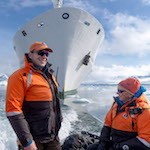 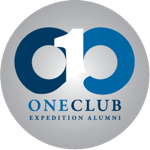 Adventure expedition crossing the Antarctic circle along the Antarctic Peninsula. 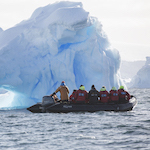 An adventure travel to Antarctica at its best to explore Antarctic wildlife. 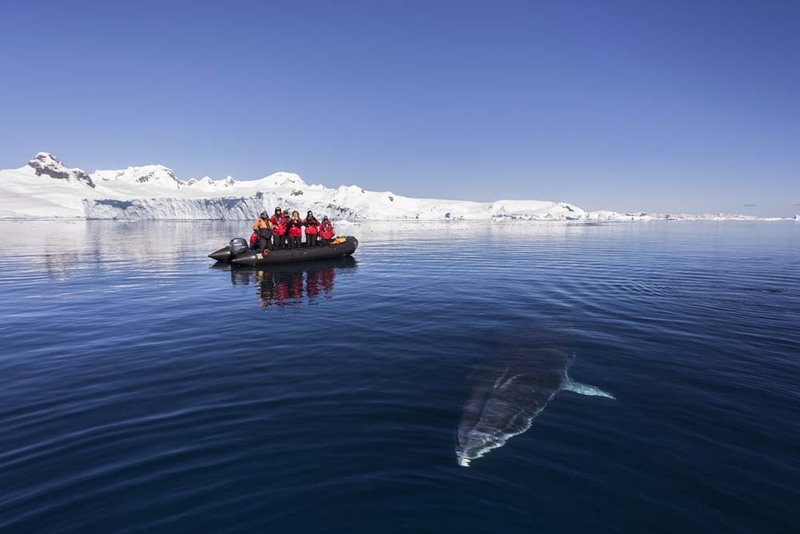 Whale watching on a memorable adventure cruise along the Antarctic Peninsula.